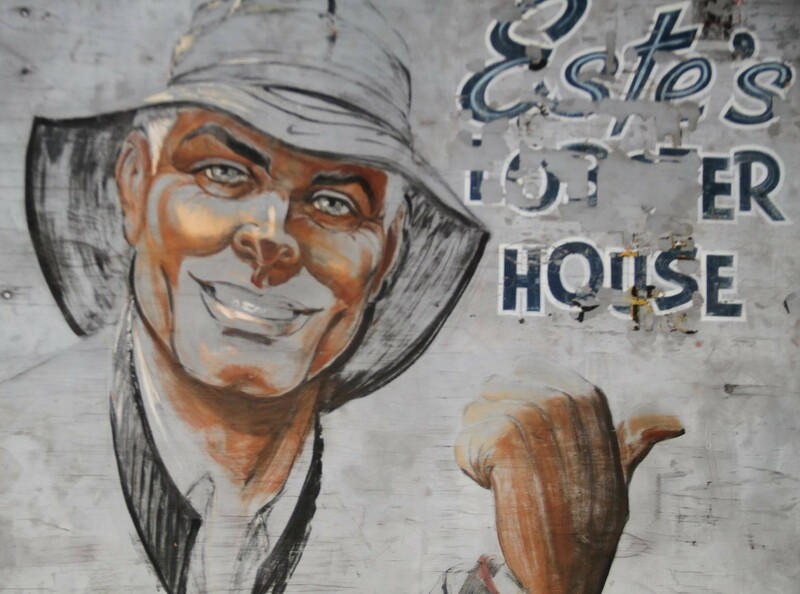 Maine-ly Lobster > Uncategorized > Estes Lobster Shack. Harpswell, Maine. Estes Lobster Shack. Harpswell, Maine. A sign points the way to Estes Lobster House. Photo courtesy of Estes. Estes Lobster Shack in Harpswell Maine is perched on a peninsula, offering breathtaking views of Harswell Sound and Potts Harbor. 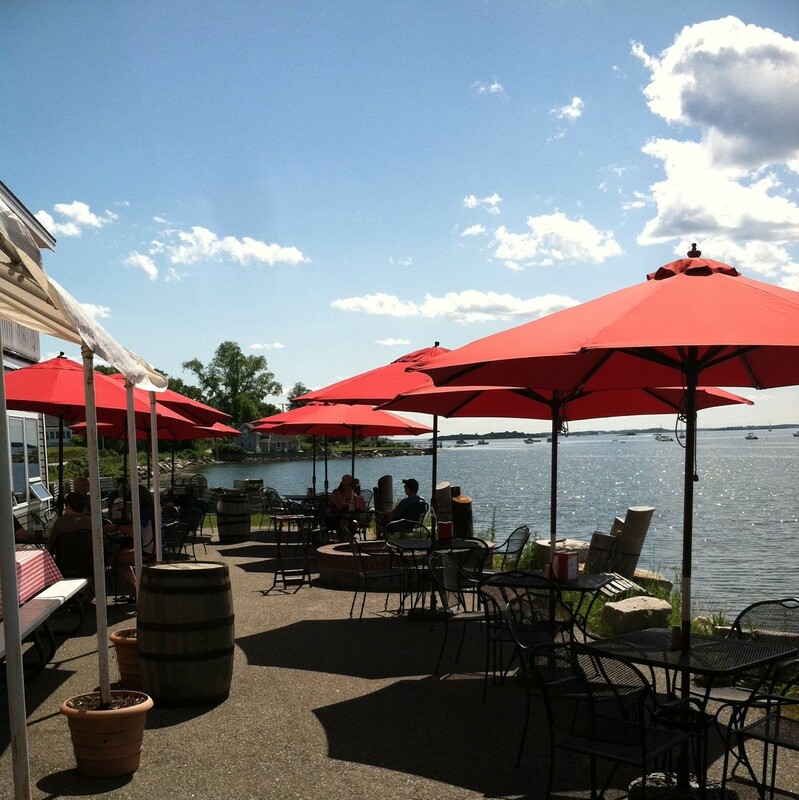 Outdoor seating overlooking lobster boats and a fire pit to cozy up to while watching the sunset add to the ambiance. 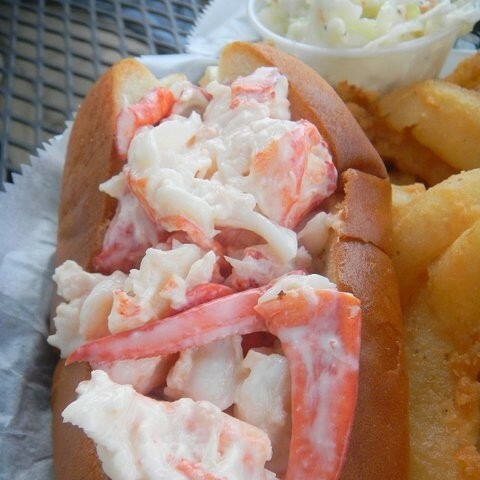 In addition to boiled lobsters, Maine shore dinners, baked stuffed lobsters and lobster rolls, Estes Lobster Shack offer lobster pie, lobster dip, and lobster macaroni and cheese which was featured on the Food Network’s Throwdown! with Bobby Flay. Estes lobster roll comes brimming full of lobster which is lightly mixed with mayo stuffed into a toasted split-top bun. Estes have a full bar serving beer, wine and a variety of libations to enjoy with your lobster dinner. They also take credit cards and offer indoor seating which is the exception vs. the rule for many of Maine’s lobster shacks. Dinner with a view at Estes Lobster House. Photo courtesy of Estes. To check out the schedule for the Harpswell lobster boat races, click here. An Estes lobster roll. Photo courtesy of Estes.